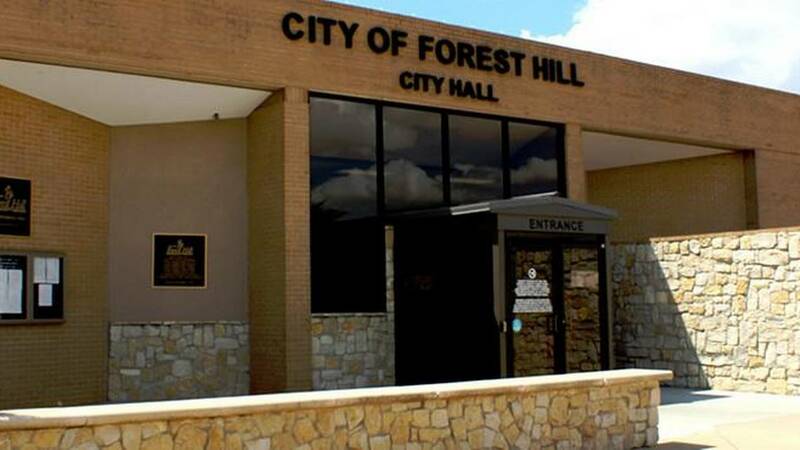 Michelle Obama likely has never heard of Forest Hill, Texas. I would wager that many residents in North Texas could neither tell you where this small city with a population of less than 13,000 is located; or, who the Mayor and Mayor Pro Tem are (were)... until last week. I won't name names here because my goal is not to shame but to teach some important truths. No matter if you are an elected or appointed leader in a city of millions or a town of hundreds, somebody is watching your every move and counting every dollar you spend, and where. Such was the case for the Mayor and Mayor Pro Tem of this small suburban city. They each spent $545 for tickets to attend the Michelle Obama "Becoming" book tour when it rolled into nearby Dallas. Hey, if you have that kind of disposable income and it is something you want to spend your money on, no big deal. What made this a big deal, however, was when they requested and received reimbursement from the city to cover the $1,091.92. While it was perfectly okay for them to spend their own money (which they did), it was not at all okay to expect, request and receive reimbursement from city taxpayers - many of whom couldn't afford the same luxury. Once attention was brought to this issue by a citizen who diligently keeps watch over the shoulders of city officials (we used to call them "watchdogs"), it set into motion a predictable, but sad reality. Ultimately both officials were forced to resign. The Mayor said the expenses were perfectly within the guidelines of professional development because their attendance at the tour to hear the former First Lady, afforded them the opportunity to "get information and learn new things." While commendable, the reimbursement for such is inexcusable. The citizen pointed the finger at the Mayor and Mayor Pro Tem, the Mayor pointed the finger at the City Manager because after all, it was the City Manager that approved the reimbursement. The City Manager works at the behest of the City Council. And if the two top ranked officials on the Council requested reimbursement, guess what any employee would have done? In addition to the book tour expense, other questionable expenses were discovered. Rather than live through the ordeal of what would have surely been a vote to remove them by their colleagues on the Council, both opted to resign. The now former Mayor is seeking re-election this spring. Had the Mayor not resigned, and the majority of the Council voted for removal, another run would not have been possible for three years. Smart political move on the back end. Poor decision-making of the front end. You have enemies. You have permanent enemies. You have enemies who you would never guess are enemies. You have political rivals and citizen enemies who have made it their lifelong pursuit to take you down and take you out. Public service at the executive and elected level is war. You must serve with a kid glove on one hand and a boxing glove on the other. Always ready to deflect a direct hit. Your greatest deflection is the "common man rule." Always ask yourself when it comes to spending taxpayer money and how and where you spend taxpayer time and resources: Would the common man on the street understand it without explanation? If you must go into long explanations to justify, don’t do it! Have common sense. This may seem trite, but I am telling you I work with some brilliant idiots! It is one thing to be able to read a budget, but to be successful in this business, you have to have sense enough to read the tea leaves (i.e., the people and the times). Keep your ear to the ground but your nose out of the air. The rumbling you hear is the growing dissatisfaction and lack of patience of tax-paying citizens who perceive public servants as over-paid jerks. You’d better believe your every move is being watched and there always will be someone who can't wait to sound the alarm. If you would be ashamed if an expenditure or act were shown on the high def screen at your church during Sunday service; or, become viral on social media, think twice about spending that money, asking to be reimbursed or taking that junket. What you do with the money you make is your business. You make it the public’s business when you expect the public to pay for your private business. The resentment is strong because they know how much you make. And compared to what they make, it infuriates them to pay for you what they can't afford for themselves and families.. no matter it comes with the position. Don't flaunt it by bringing attention to it. Own up quickly to your mistake and be quick to offer an apology, never an excuse. That City Manager had nothing to do with those two officials attending that event. They made it about him when they put him in the awkward position of having to take some of the heat. If you are an elected leader, never, ever, ever blame staff for your mistake or faux paus. It makes you look small and oh so guilty. Bottom line is this, other than a bonafide offficial expenditure, pay your own freight and pay your own way! Serving in elected office is a privilege not a right; and one many dream of, but few will ever be able to do. Do the right thing and do right by those who pay your salary and afford you the privileges that come with your office or position. There are no term limits on integrity.